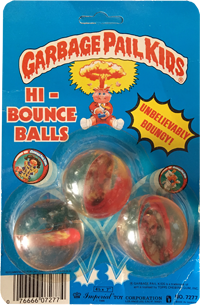 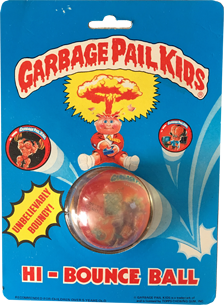 Hi-Bounce Balls were created by Imperial Toy Corporation as part of their massive GPK-Release. 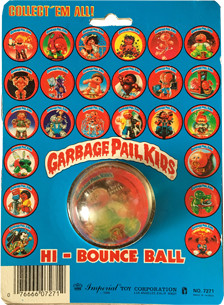 These balls came in two different sizes, and featured two different characters per ball. 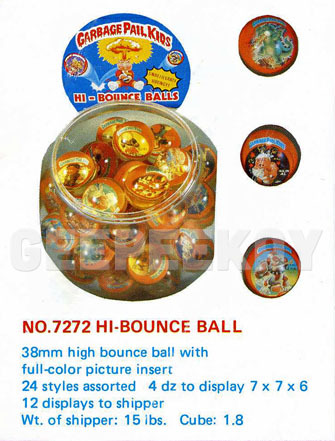 There were two different size Hi-Bounce Balls produced: 38mm and 49mm. 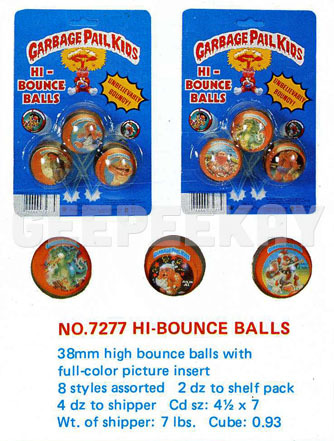 The 38mm was distributed most commonly in 3-packs, yet they were also sold one-at-a-time via a large bucket the retailer would set on their counter. 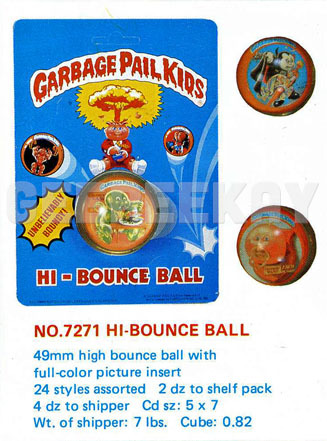 The 49mm were only available in single cardboard packaging. 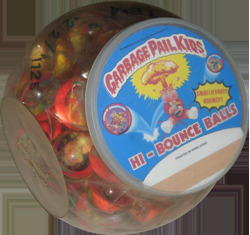 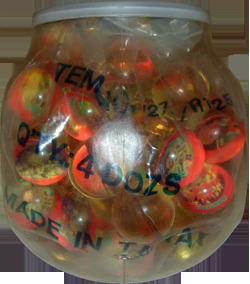 This bucket display contained 4-dozen 38mm Hi-Bounce Balls. 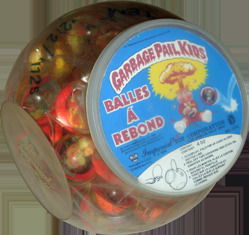 The lid of the bucket has English on one side, and French on the other - which appears to be typical for rare Imperial Toys distribution items.